The theatre was built as one of a pair with the Aldwych Theatre on either side of the The Waldorf Hilton Hotel London, both being designed by W. G. R. Sprague. The theatre was opened by The Shubert Organization as the Waldorf Theatre on 22 May 1905, and was renamed the Strand Theatre, in 1909. It was again renamed as the Whitney Theatre, in 1911 before again becoming the Strand Theatre, in 1913. 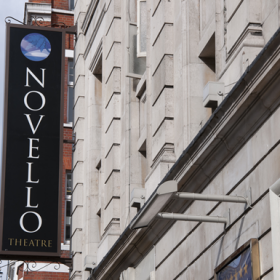 In 2005, the theatre was renamed by its owners (Delfont Mackintosh Theatres) the Novello Theatre in honour of Ivor Novello, who lived in a flat above the theatre from 1913 to 1951. A quick replacement came in the form of the cross-West End transfer of Shadowlands from the Wyndham's Theatre, commencing 21 December 2007 for a 12 week run to 25 February 2008. Producer Phil McIntyre opened ZooNation's adaptation of the musical Into the Woods, entitled Into the Hoods, on 26 March 2008. 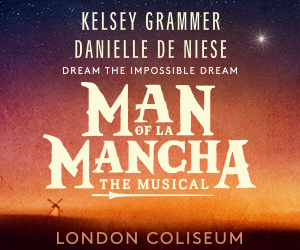 Global smash hit musical Mamma Mia! 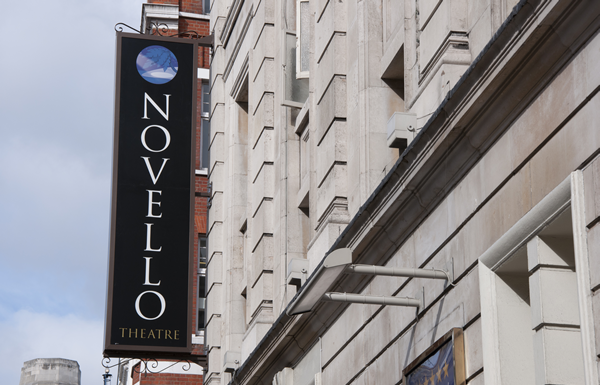 celebrated its 20th anniversary in London’s West End at the Novello Theatre on 6 April 2019. At the special performance, 13 former ‘Dynamos’ joined in the finale and at the curtain call producer Judy Craymer, director Phyllida Lloyd, book writer Catherine Johnson and ABBA songwriters Benny Andersson and Björn Ulvaeus just happened to be there too. How can we resist this show? The sun is shining on the London production of Mamma Mia! and the show’s audiences too! Not only has booking been extended to 7 March 2020, but the ABBA-inspired musical will be celebrating its 20 years in the West End with a special ticket lottery. For each day & each performance in April, 20 tickets for £20 will be on offer. Now where did we put our lycra and platforms? Somewhere in London’s The O2 there’s going to a Greek island paradise where the new immersive theatrical and dining experience Mamma Mia! The Party – with a story version by Sandi Toksvig – will open on 19 September 2019, following previews from 29 August. Audiences keep thanking Abba for the music as Mamma Mia! 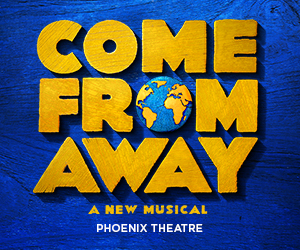 opens up a new booking period at the Novello Theatre from 4 March to 14 September 2019. Twentieth birthday celebration can begin on 6 April! How many times have you seen it?